You will never have to worry about chipping for fading paint again. 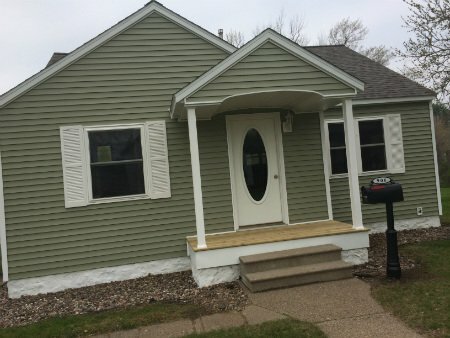 Our expertly installed siding will give your home a fresh look with easy maintenance..
LP® SmartSide® Siding is manufactured right here in Wisconsin and finished in Wausau, WI. We are proud to be the areas only certified LP® SmartSide® contractor. LP® SmartSide® is a highly durable and low maintenance siding that gives you the beautiful look of natural wood siding and offers a variety of colors and styles to choose from. We service and sell a variety of types of siding and have th home exterior solutions you are looking for. 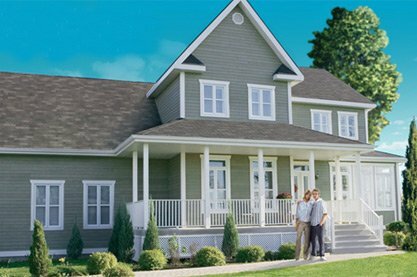 LP® SmartSide® Trim & Siding products deliver the beautiful, authentic look of real wood. But they offer multiple advantages over traditional wood trim and siding materials. They’re free of knots so you don’t waste time sorting through flawed pieces. And unlike traditional wood, LP SmartSide Trim & Siding products resist cupping and warping. They’re factory pre-primed to take paint well, delivering optimal adhesion and consistent application. The SmartGuard®manufacturing process helps protect against termite damage and fungal decay. Here’s some more smart protection: our 5/50 Year Transferable Limited Warranty provides a 5-year, 100% labor and replacement feature and a 5/50 Year Prorated Limited Warranty on the product. The difference is clear. LP SmartSide products are the smart choice. We at Romatoski Home Improvements are proud to be preferred installers of LP SmartSide. We are confident you will love the look and benefits of this premium siding product for any project you may have. Give us a call today at 715-536-9185 for more information to to request a free quote. Not only will your home look beautiful with new, expertly-installed siding, but you’ll see your energy bills drop because of the added level of insulation. Get a free estimate on any style of siding today. Vinyl | Wood | Cedar |Aluminum |Steel |Aluminum Soffit & Fascia |Window Wrapping |LP Smart lap siding and more! We offer free quotes to help you make the best choice for your needs. See testimonials from just a few of our many cusotmers over the past 40 years. See photos of some of our work or our crews out on the job hard at work.